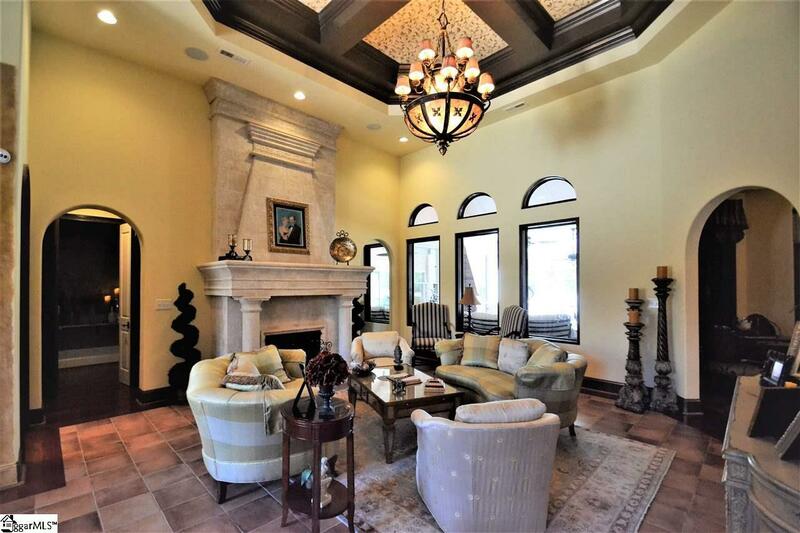 Stunning hard stucco one owner custom built home located in desired District 6 Shadowlakes gated/guarded community, with a pond, tennis courts, and common areas. A must see 4BR, 3.5 BA home with custom quality and high end detail throughout. Enter through the stunning $10,000 front door into a foyer with a professional hand painted mural overlooking the living room with an amazing solid stone floor to ceiling gas fireplace, and hanging above on the professional hand painted ceiling is a gorgeous chandelier costing $10,000. 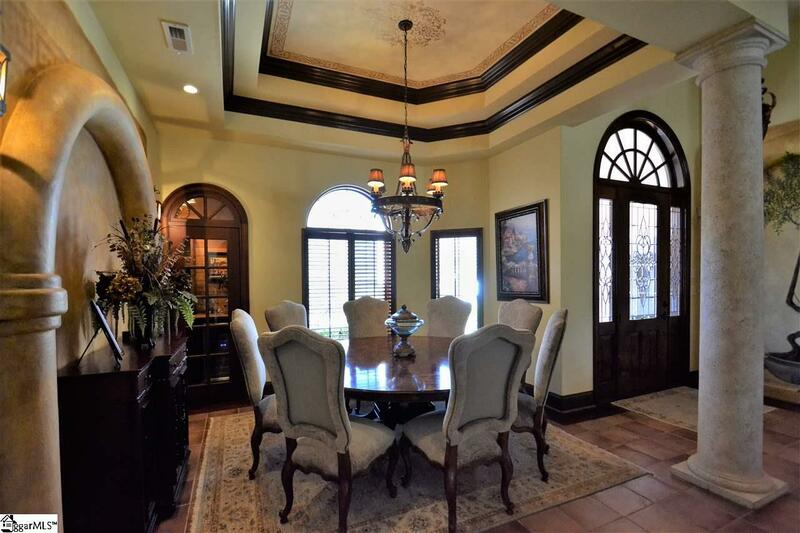 Formal dining room has arched windows and a solid wood cherry door leading to a wine cellar. You will be "wowed" by the elegance! If you love to cook, this kitchen is for you; the open concept of the kitchen, breakfast area, and great room is great for entertaining. Gourmet kitchen with custom cherry wood lighted cabinets and new quartz countertops, Jenn-Air oven with a custom $9,000 hood, over sized wood inlay refrigerator, copper sink, trash compactor, island, bar area, and pantry. The great room has custom built in bookcases and extensive molding. Master bedroom is a private paradise with cherry hardwood floors, cherry tile surround gas fireplace, detail ceiling, and two custom walk in closets. Master bath has custom built cabinets, heated floors, huge walk through tiled shower with rain fall shower head, body sprays, and a soaker tub with tile surrounds. Split bedroom floor plan with two bedrooms and a Jack & Jill bath along with a media room with built in book cases, coffered ceilings, or could be used as a fourth bedroom. You can work from home in the beautiful office and then relax in the lighted & heated salt water Gunite pool with a hot tub and waterfall. Amazing screen porch with lighted floors, two ceiling fans and a fireplace with gas logs. After a day in the pool, entertain in the heated/cooled sun room with a built in gas grill, commercial grade Electrolux overhead fan, refrigerator, and a sink. Walk in laundry room, over sized three car garage with built in storage cabinets, three HVAC units, full sprinkler system, professional landscaping, video surveillance of entire property, inside and out with real-time viewing on TV, phones, and computer. Surround sound throughout inside and outside of home. Separate driveway with access to the 1540 heated/cooled/unfinished garage area with garage door and yard door, great for storage, workshop, or storage for car enthusiasts. Stunning detail surrounds this home, arched windows & doorways, all floors are tile or cherry hardwoods - no carpet in this home, rounded sheet rock, the list goes on and on! Also, never go without power, this home has a generator to accommodate the whole house. Master bedroom, bath, cabana bathroom all have fresh paint, new sod in some areas of yard with landscaping upgrades, exterior of home painted June 2016, roof was replaced in 2012 due to hail damage, newer pump for pool, and safety pool cover replaced in 2012. 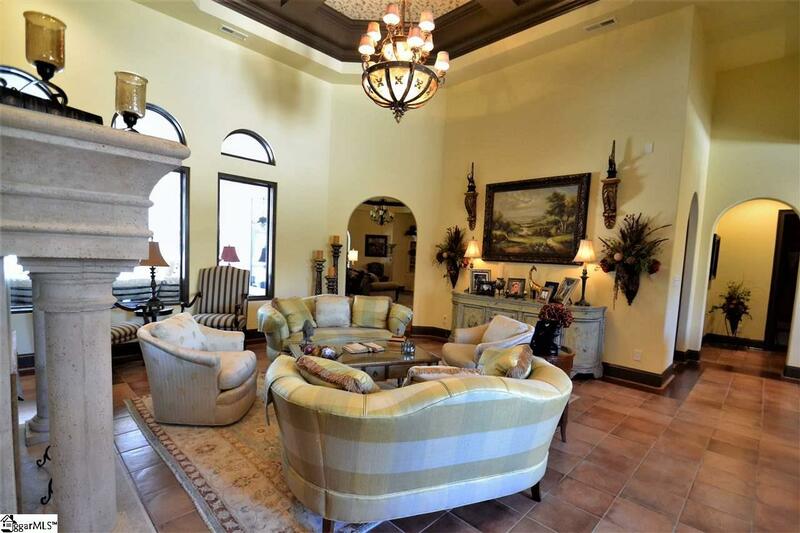 Owner has over $1,000,000 in this home - truly the best of the best with exquisite details.